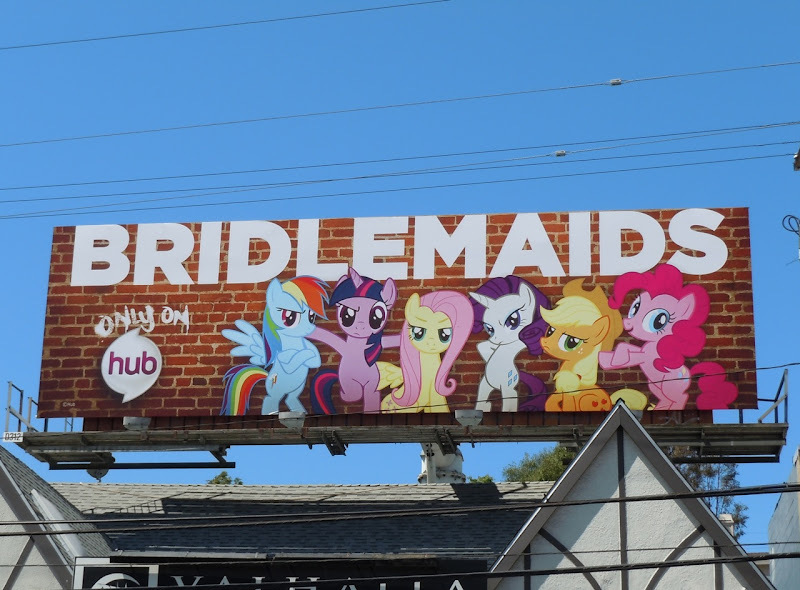 You just have to smile when you see this My little Pony parody of the recent Bridesmaids movie billboard, 'Bridlemaids' indeed. Those people at The Hub kids network certainly have a sense of humour, although it's slightly odd that a children's cartoon series is paying homage to an R-Rated comedy. This fun creative was snapped at Barham and Cahuenga Boulevards on June 30, 2011. 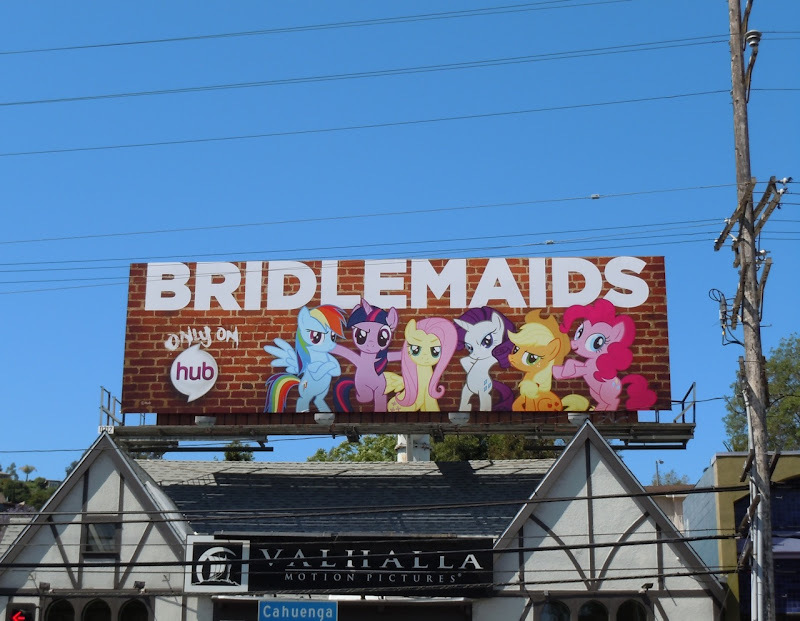 Be sure to compare this ad to the original Bridesmaids billboard. Because this "kids show" is actually secretly R-Rated. I mean if you ever seen the references in it, let alone the plot in some episodes, and also the mental break-downs of all the characters at some point you would agree. Haha, not 'secretly R-rated', but more so 'maturely intended'. I agree that it is not only targeted at young girls any more, though, as Lauren Faust has paraphrased.